This is one of the key youth programmes. It involves hundreds of schools throughout KwaZulu Natal. The speech contest comprises a contest in local neighbourhood areas where a host school invites neighbouring schools to participate in the first round of the contest. Each school chooses its own participants. They are allowed to speak in English or Zulu and a school can enter either or both English and Zulu contestants. The contest is aimed at grade 7 learners only. 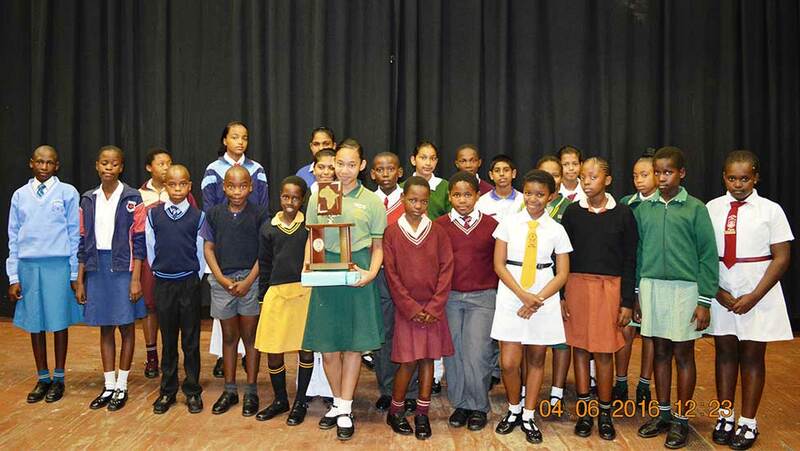 The 2016 Speech contest saw 135 learners from 77 different schools compete in both the English and isiZulu sections of the contest. We had 14 host schools in the first round, from Tugela in Northern KZN all the way to Umkomas in the South. The overall winner in the speech contest was Cheyanne Brown from Nagari Parchani School in Asherville. The Essay contest is aimed at grade 10 learners and schools are allowed to send one essay in English and one in isiZulu. This contest helps to improve writing skills as well as critical thinking and research. It is important that schools in the first round have an internal contest to select the best writer and thinker. Then to assist the writer with references to literature and to help with improvement of writing skills. In this way many learners benefit. It is for this reason that GDT encourages schools as well as the learners by offering prizes to both the learner and the school from which the winning learner comes. This applies to both the speech contest as well as the Essay contest. In 2016 we had 43 entries. Nosipho Jali from New West Secondary in Newlands was the overall winner. Both the overall winners in the speech and the essay sectors are given a floating trophy which remains in their school for the duration of a year and the trophy has an inscription on it of the winning school each year. Some schools such as the New West Secondary School have won for many years in succession and have their name inscribed over and over with a great sense of pride.